Everyone wants sparkling, bright white teeth. Unfortunately, the foods we eat, the beverages we drink, and even simple aging all conspire to make our teeth yellow and dingy. At Ridgeview Family Dental, we offer both in-office and at-home options to help you achieve that dazzling white smile. Every person’s tooth enamel is naturally a different shade. The porosity of enamel also varies among people, making some teeth more prone to staining. The staining that changes month to month, and responds well to teeth whitening, is staining in the enamel layer of the teeth. There can also be staining in the dentin, the interior of the tooth. These stains can be the result of age, trauma to the teeth, or taking certain medications such as tetracycline, usually as a youth. This deeper staining cannot be addressed by whitening, as it is an internal issue. 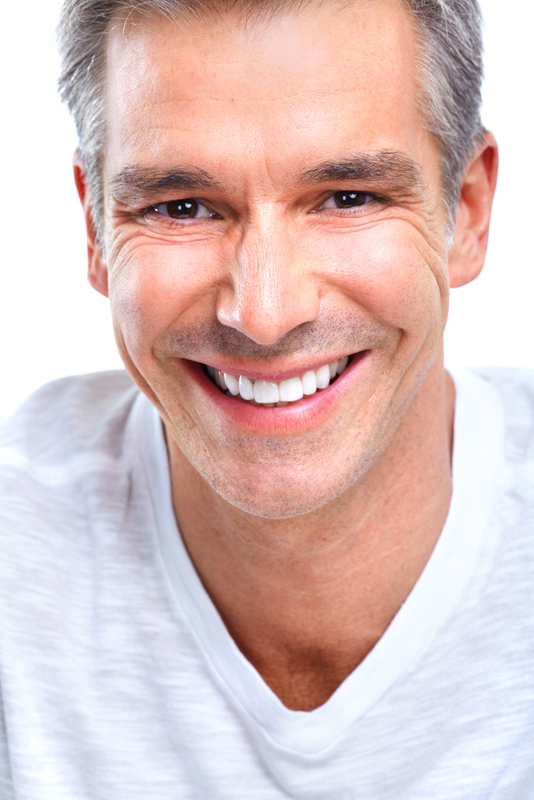 In these cases, porcelain veneers or dental bonding may be an option to cover the deep staining. What Is the Candidacy for Teeth Whitening? Professional teeth whitening techniques can achieve some degree of improvement for most people with dull or discolored teeth. The best candidates for this treatment have good oral health. Dr. Young or Dr. Weststeyn will perform a thorough examination before conducting whitening treatment and, if necessary, treat cavities and gum inflammation before moving on to cosmetic enhancement. The presence of tooth decay and gum disease can exacerbate the sensitivity that may occur throughout the stain-lifting process. During your in-office teeth whitening, Dr. Young or Dr. Weststeyn will place a protective barrier over your gums, to avoid contact with the whitening agent. Then, they apply the whitening gel to the teeth and use the Zoom light. The gel and the Zoom light work together to break down stains and discolorations. We will repeat this process in four, fifteen-minute sessions. In addition, we include custom whitening trays for at home touch-ups. 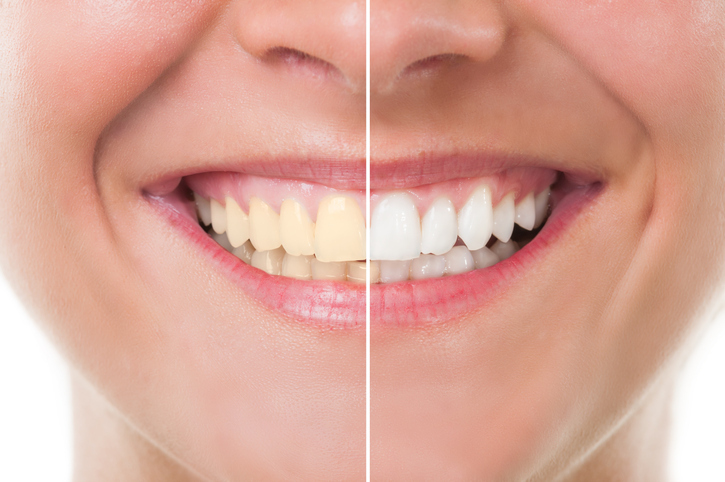 Zoom whitening can whiten your teeth up to eight shades lighter. What Are The Benefits of In-Office Whitening Treatment? The availability and price of store-bought whitening products are appealing. However, it is necessary to evaluate how much improvement you wish to achieve before deciding which approach may be best. Professional teeth whitening works faster and lifts the vibrancy of teeth more dramatically since the in-office gel is more concentrated than what is available commercially. If you choose at-home whitening, we begin by taking impressions of your teeth to create your customized whitening trays. These custom trays will ensure a tight, yet comfortable fit to maximize the contact between your teeth and the whitening gel. When your trays are ready, we provide you with syringes of carbamide peroxide gel which is a weaker strength than our in-office gel. Additionally, we give you thorough instructions on the home whitening procedure. Patients should wear the trays for 30-60 minutes per day for approximately two weeks or until desired results are achieved. How Many Teeth Whitening Treatments Do I Need? The number of teeth whitening treatments each patient needs depends on the preferred type of whitening and the extent of discoloration. Over-the-counter teeth whitening products are not formulated to achieve deep whitening. If your teeth are dull, you may see good results from home treatment. If your teeth are discolored, a commercial whitener is not likely to provide you with your desired results. Professional home-whitening treatment is effective at removing all levels of staining, from dullness to discoloration. Results occur gradually over a few weeks as patients apply the whitening gel for a short period every day. Professional in-office whitening provides immediate results in a single visit. The expedited whitening process leads to noticeable rejuvenation that may only require touch-ups. For severe staining, a round of professional home treatment may follow in-office treatment. Teeth whitening is one of the most conservative cosmetic treatments to enhance the smile. However, we recommend that patients at least speak with our Ridgeview Family Dental dentists and complete a thorough dental examination before scheduling professional whitening treatment or purchasing a home-whitening kit. Even over-the-counter teeth whitening strips can create sensitivity and gum irritation if the teeth or gums are worn down or inflamed before treatment begins. No whitening system is permanent. When you feel your teeth are becoming stained again, you can simply purchase the at-home whitening syringes for touch up. Good home hygiene makes a difference in the amount of time that whitening will last. If you avoid certain foods and beverages, rinse your mouth with water after meals and staining beverages, drink through a straw, brush for two minutes twice daily, and come in for twice-yearly professional cleanings it will aid in keeping your teeth their whitest. If you choose in-office teeth whitening, you will see impressive results in about an hour. You will leave our appointment with a boost of radiance and a new appreciation for your smile. Professional home whitening is a gradual process, but most patients begin to see a lift in discoloration within their first few applications of high-quality whitening gel. Many people who choose store-bought whitening strips see minimal results and eventually see their dentist to achieve their desired level of whitening. Does Tooth Whitening Affect Dental Restorations? Dental restorations are made of high-quality porcelain or resin material and shaded to match the color of natural enamel at the time of placement. If you whiten your teeth, only the enamel will lighten. This could result in your restorations, such as bonding, veneers, or crowns, to appear darker. During your consultation and examination, we observe the predicted contrast between restorations and your natural teeth after a whitening treatment. If needed, restorations can be replaced to maximize the beauty of your smile. The American Dental Association has done numerous studies on teeth whitening, covering decades of procedures. It has concluded that teeth whitening, when used in moderation, is safe and has given its approval to various products. Additionally, teeth whitening is a process that can be repeated periodically without causing damage to teeth. Dr. Young and Dr. Weststeyn will confirm that teeth whitening is appropriate for the level and type of staining each patient has, as well as the thickness of enamel and their general oral health before proceeding. When professional whitening gel seeps into the pores of enamel, tooth structure may become slightly dehydrated. Also, for peroxide to work, it must first permeate the invisible protective biofilm that covers enamel. These two effects, in combination, could result in slight sensitivity or “zingers.” If your teeth are generally sensitive we can suggest strategies to improve your teeth whitening process. Insurance does not cover teeth whitening, as it is a cosmetic procedure. However, there may be an allowance with a flex spending or health savings account. 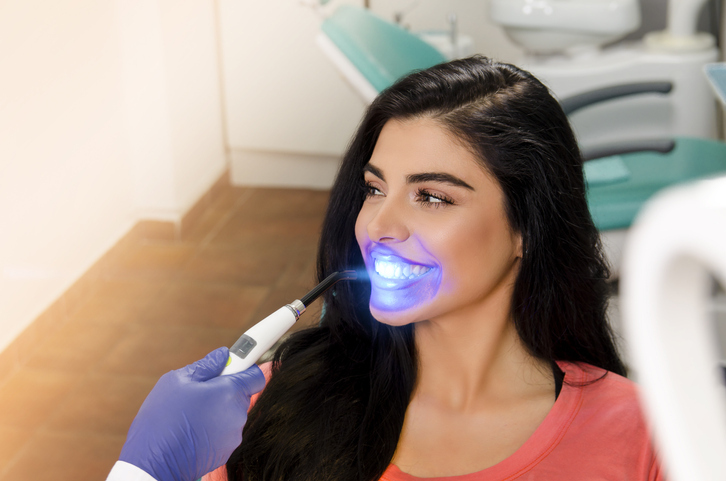 If you want to see a dramatic improvement in your smile, and noticeable results sooner rather than later, we would love to discuss your teeth whitening options! Call 660-747-9117 to make an appointment. We serve Grain Valley, Odessa, Bates City and surrounding areas. Thanks to our convenient locations in Warrensburg, Oak Grove and Windsor.